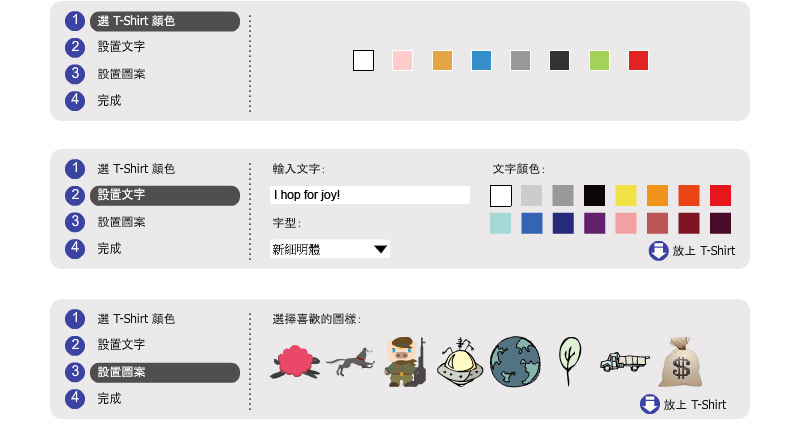 This Flash application allows the user to customize their own t-shirts online. The goal was to make the interface design disappear: the complicated process is broken down into succinct steps, presented in easy to follow format. Most of user input and instructions are integrated into a small horizontal tool bar. This project is funded by a grant from Taiwan Design Center, for Logoless.com.